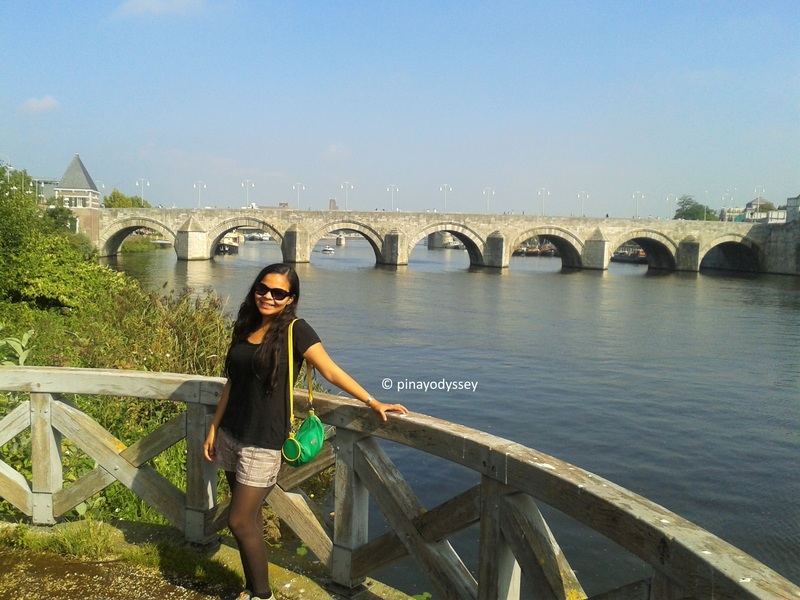 Maastricht is a river city located on both sides of the river Meuse/Maas. 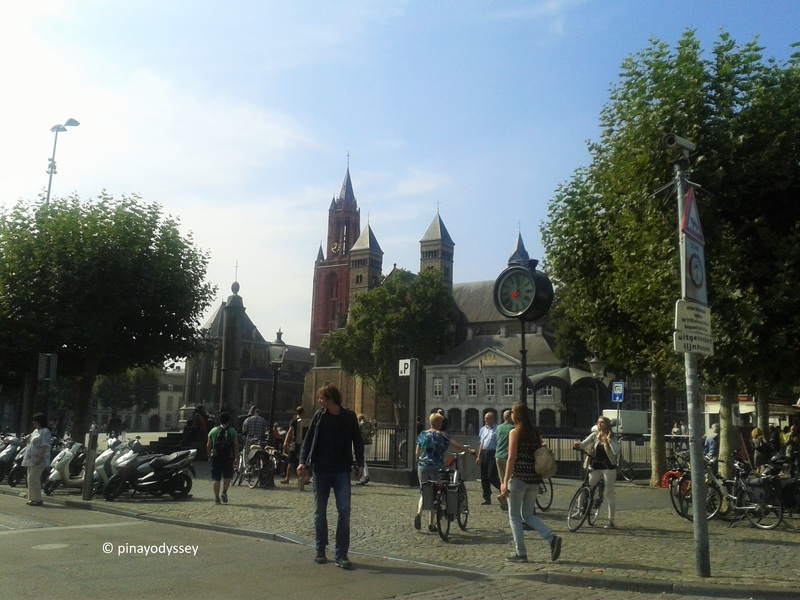 It is debated as the oldest city in the Netherlands, serving as a Roman settlement and a medieval religious center. Today, it is a modernized, industrialized city housing 1677 national heritage sites (Rijksmonumenten). It is the birthplace of the European Union, the European citizenship and the euro. It is also a proud member of the Most Ancient European Towns Network. 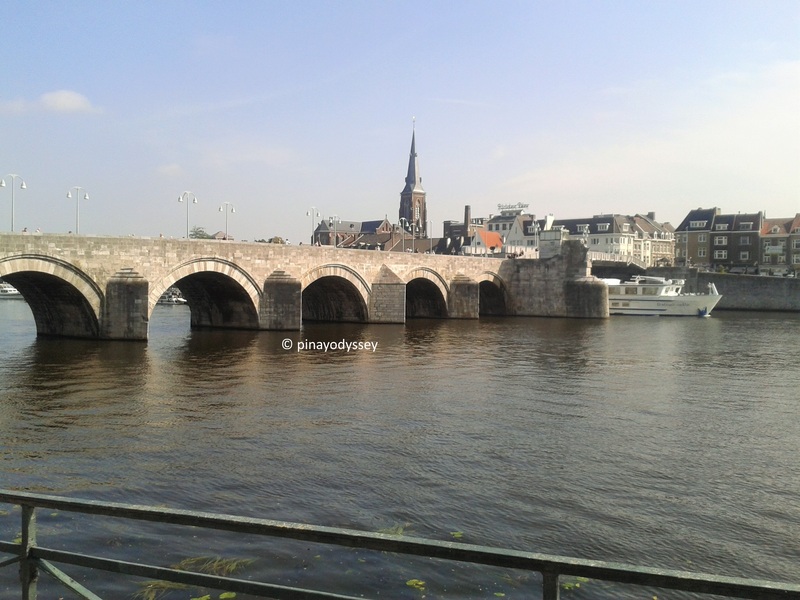 After enjoying our little visit to Château Neercanne, my wonderful Dutch host and I went further downtown to explore the vibrant city of Maastricht. 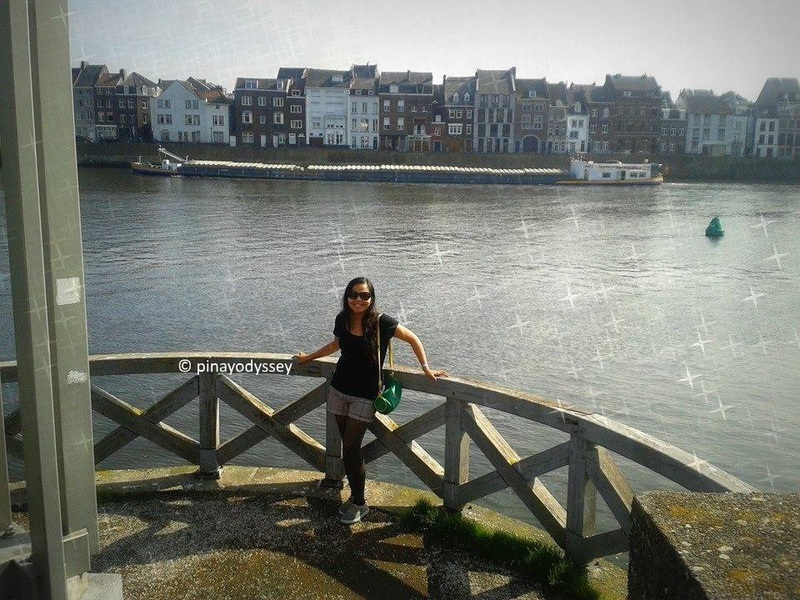 It is a cultural and historical haven, if I may say, with beautiful narrow and cobbled streets, colorful buildings, ancient churches and ruins, and of course, the river Maas and its bridges. 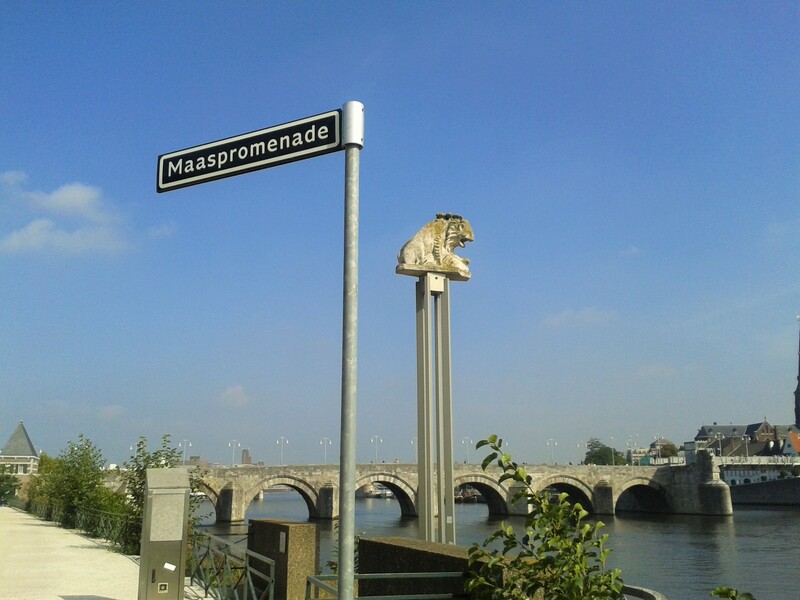 The Maas Promenade offers a wonderful walk, and there you can find the oldest bridge in the Netherlands – the Sint Servaasbrug. 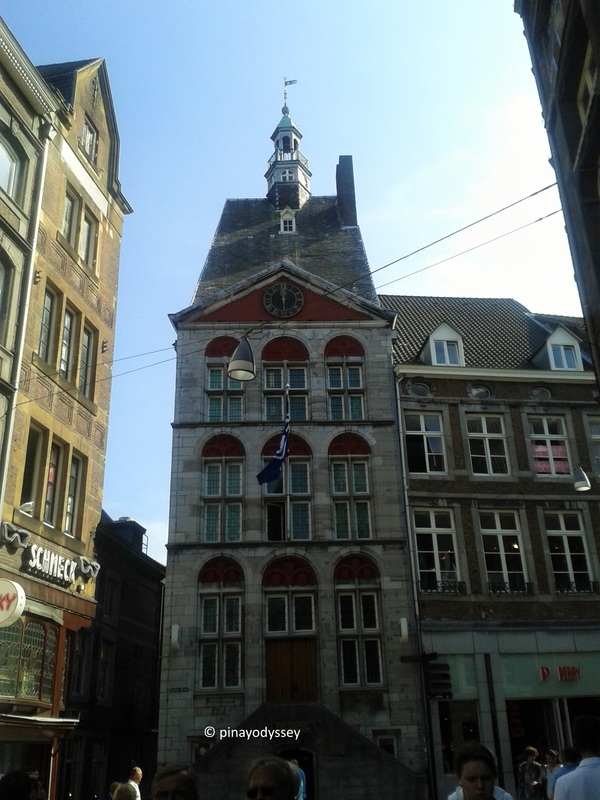 It was named after Saint Servatius, the first bishop of Maastricht. 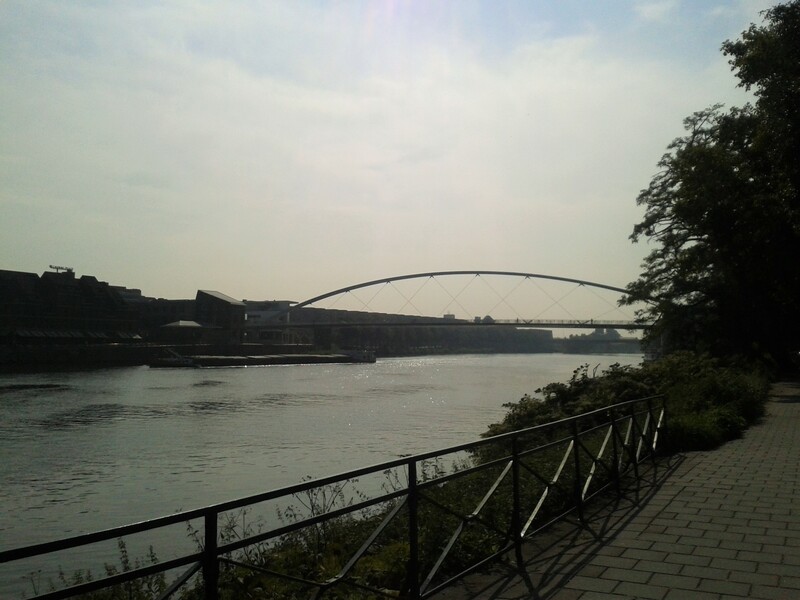 Aside from the Sint Servaasbrug, one can also admire the Hoge Brug, or “high bridge”, a pedestrian and cycle bridge. I managed to snap a shot of it from a distance. 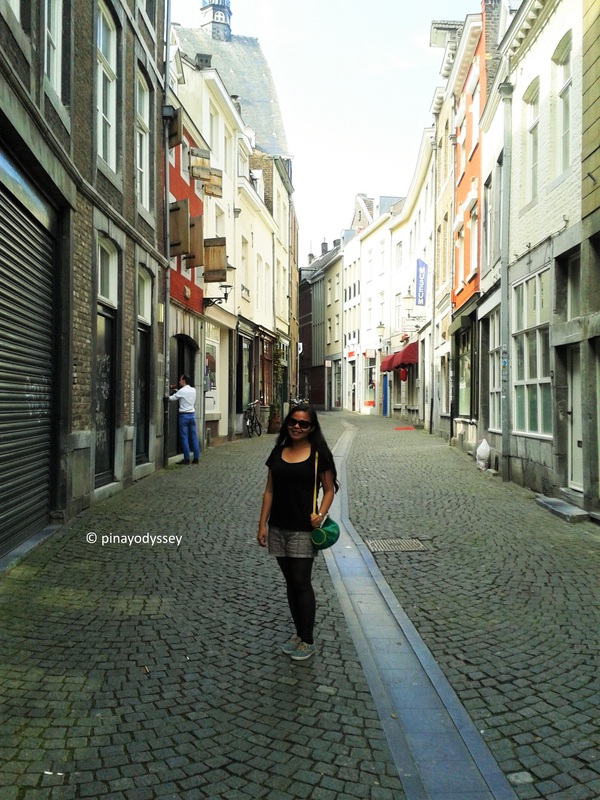 At the city center, I was awed to see some familiar streets. Familiar because they look exactly the same as the streets in Brussels, which I also visited with my host during the visit. 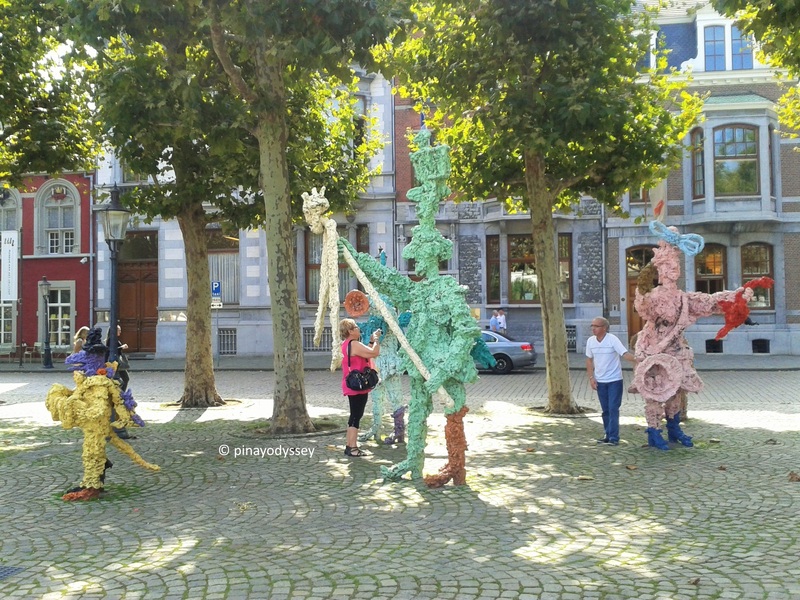 There were squares also filled with beautiful art installations, monuments and exhibitions. 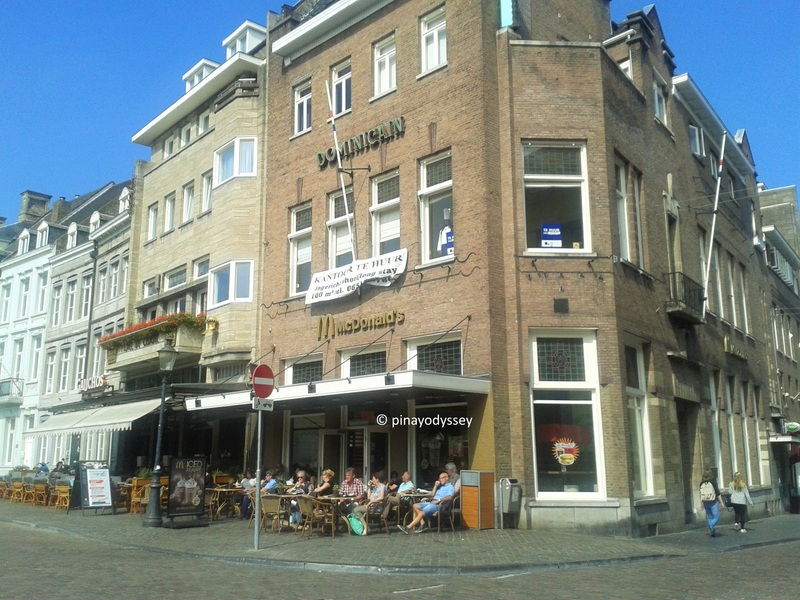 One famous building in the heart of the city is the Ding Huis, literally the “Thing House”. It is a medieval courthouse with prison cells built around the 1400s. A National Monument, it now serves as a tourist information center. 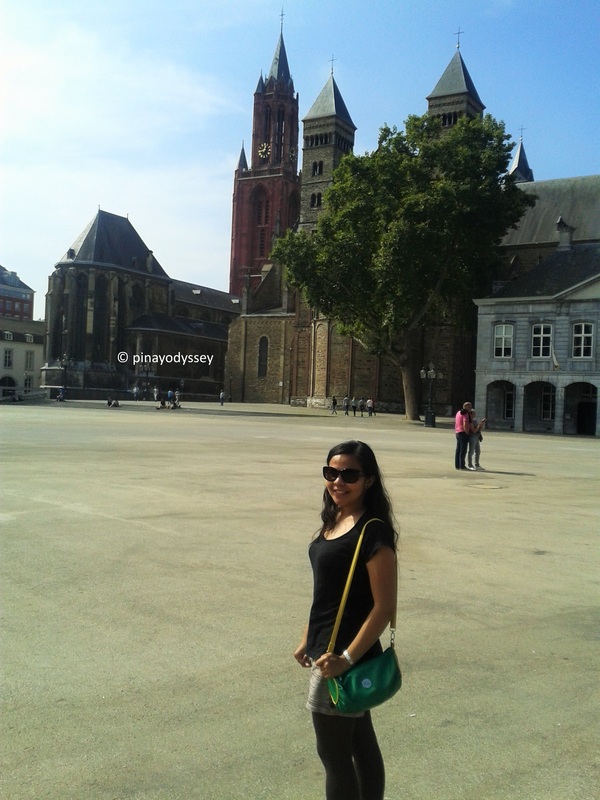 Also in the city is one of the world’s most beautiful squares, the Vrijthof. 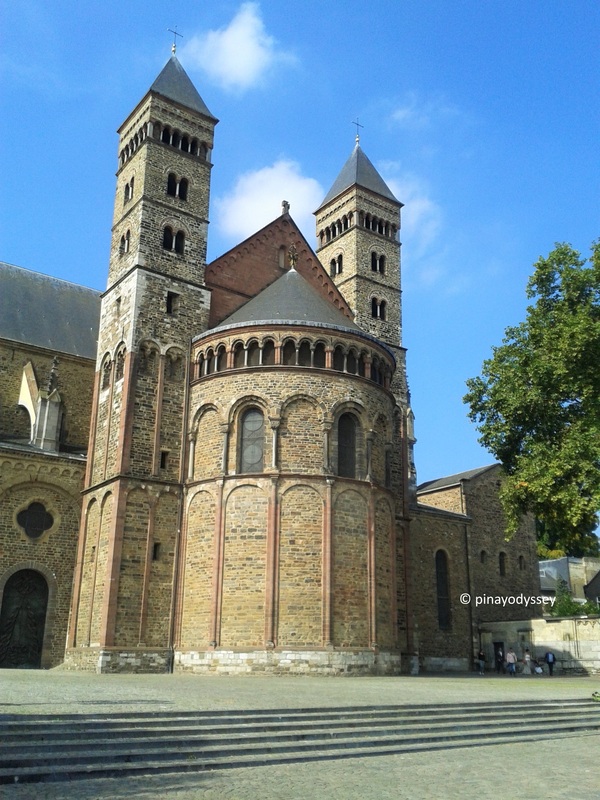 It is famous for its restaurants and cafes, and the St. Servatius Basilica, a Romanesque cathedral with crypts and treasures. Pilgrims go to the square to visit the grave of Saint Servatius. 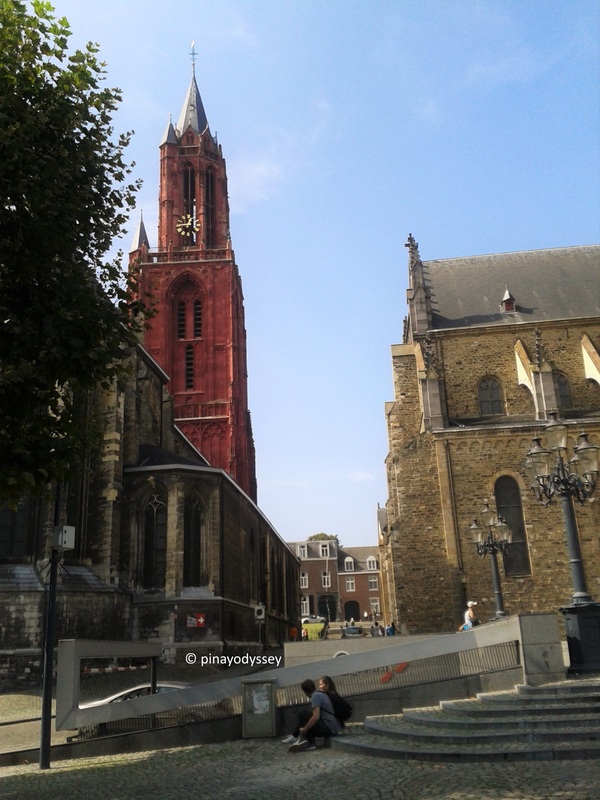 Another popular landmark is the impressive Sint Janskerk or St. John’s Cathedral, an amazing 13th century Gothic church made with red stones! 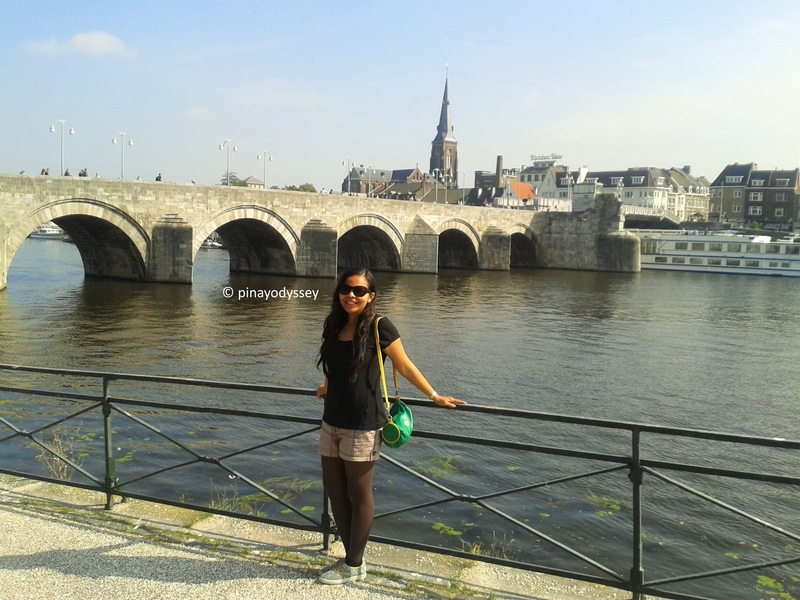 The sights mentioned above are just some of the things to see and experience in the city of Maastricht. There’s more, I promise, and them I’ll write about in the next entry (ies)! 😀 Cheers! P.S. 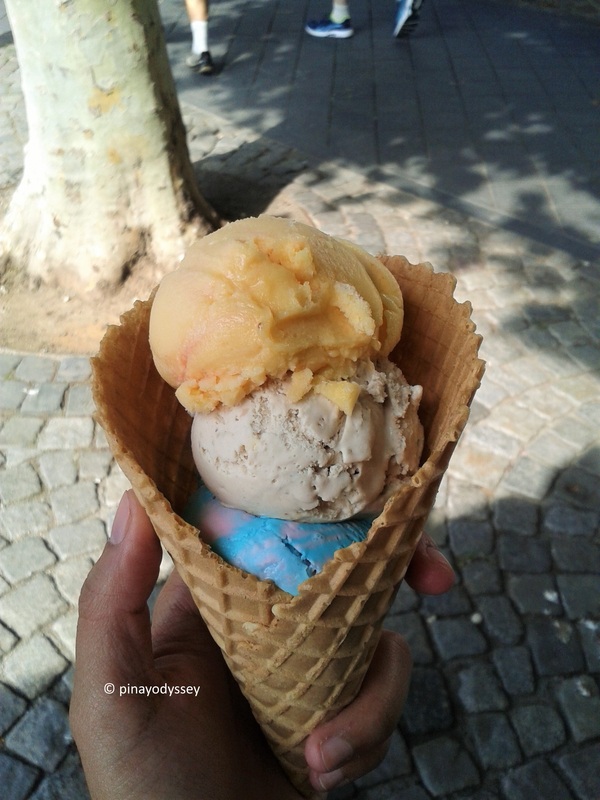 “joie de vivre” is French for life’s vibrance. 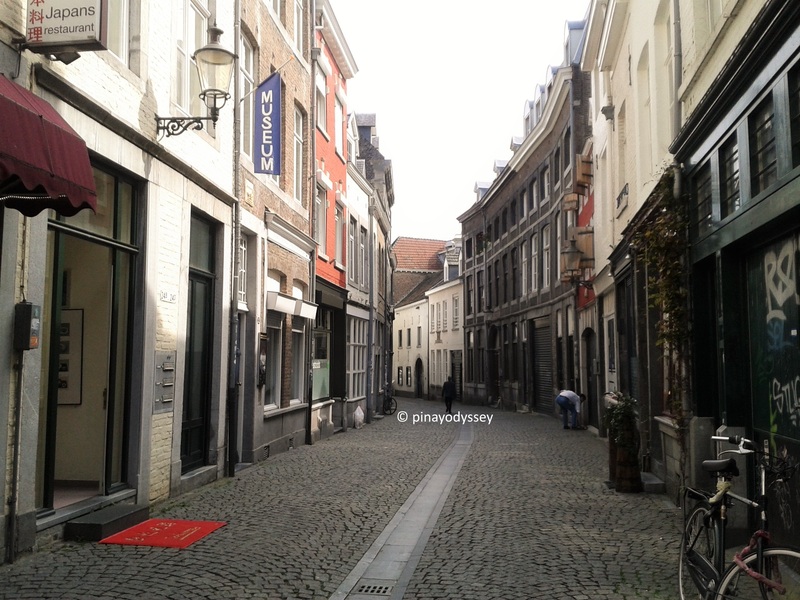 😉 The languages the Maastrichtenaar (or Mestreechteneer or Sjeng) speaks is diverse — Dutch, French, Limburgish, German and English.